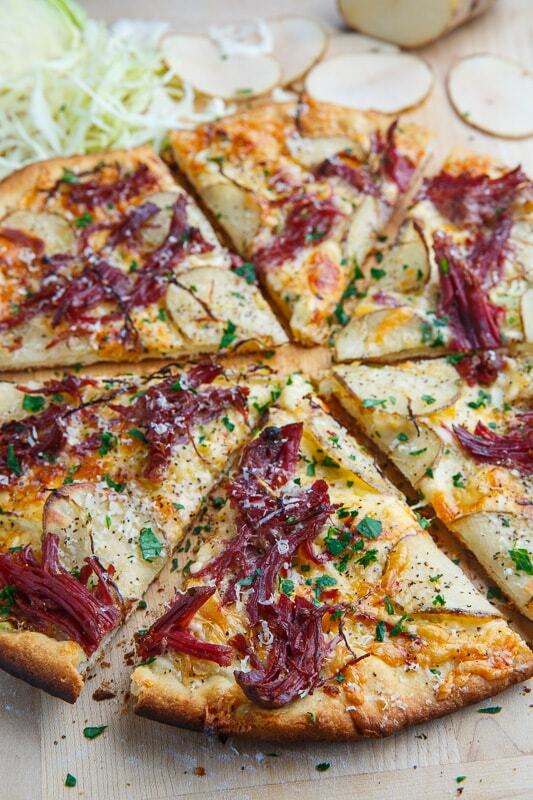 A tasty corned beef and cabbage pizza with potatoes and plenty of cheese! Do you have leftover corned beef? 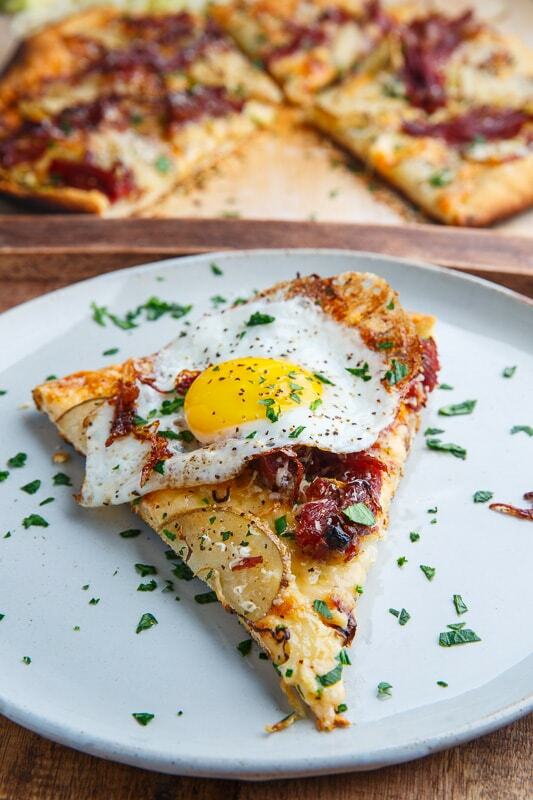 This corned beef and cabbage pizza is a fabulous way to enjoy it! If not, it’s well worth making some corned beef with cabbage and colcannon just so that you can make this pizza! 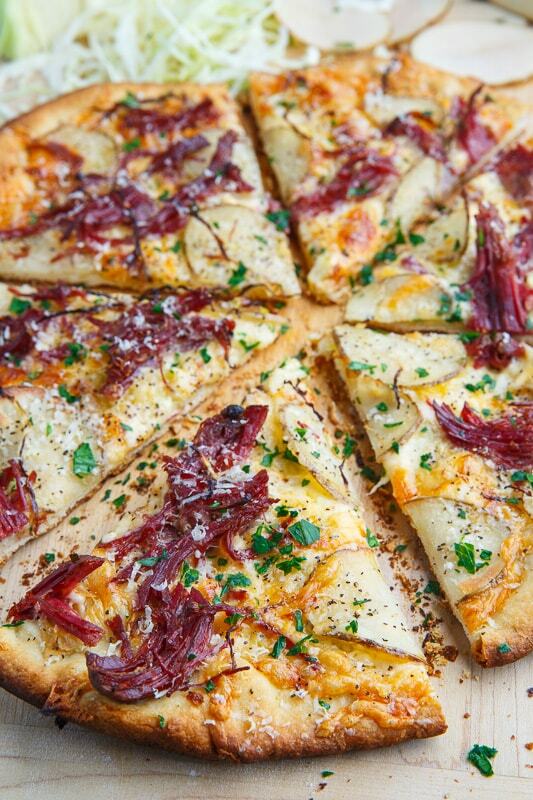 This pizza starts out with your favourite pizza dough which is brushed with olive oil before sprinkling on the corned beef, cabbage, potatoes and cheese and baking it in the oven. Normally just one cheese is enough for a pizza but for this one I go with three kinds, mozzarella, white cheddar and parmesan! This is just like an entire corned beef dinner all rolled up into one tasty pizza! 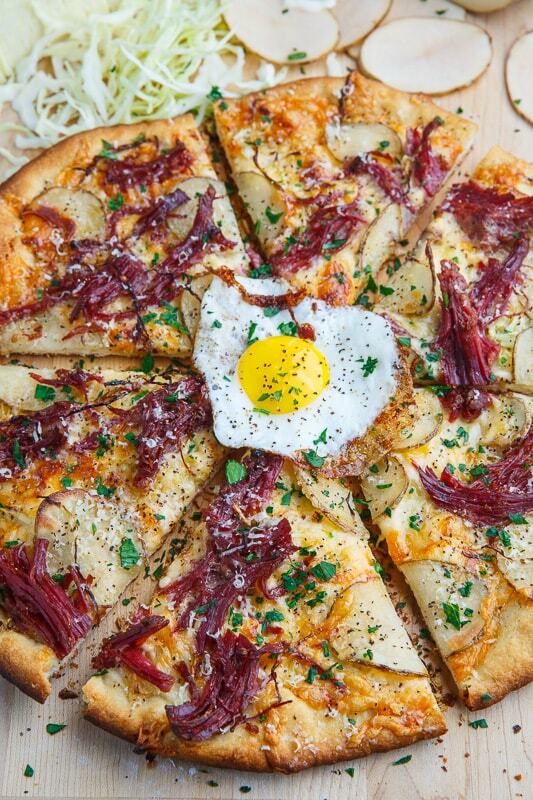 When I first heard about topping a pizza with a fried egg I was not sure but ever since I tried it, I can’t go back and this corned beef and cabbage pizza is perfect for one! Serve topped with a fried egg with a runny yolk! Shape the pizza dough into the desired form on a baking sheet, brush with olive oil, sprinkle on corned beef, potato, cabbage, the cheeses, and pepper. 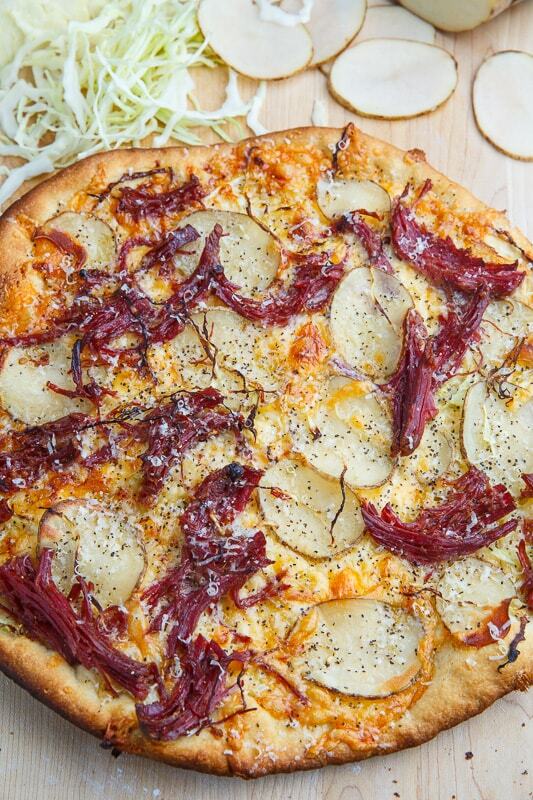 Option: Make this a ‘rueben’ pizza by spreading russian dressing or thousand island dressing on the dough for the sauce and replacing some or all of the cabbage with sauerkraut and optionally top with diced pickles! Option: Tip with fried eggs with a runny yolks! Made this for dinner tonight – so good. Such a fun twist on pizza (one of my favorite foods) and a traditional St Paddy’s dinner. And being super easy doesn’t hurt! Pizza and beer!